Installing the soft-close hinges is to eliminate the slamming sound when closing the door of cabinets. 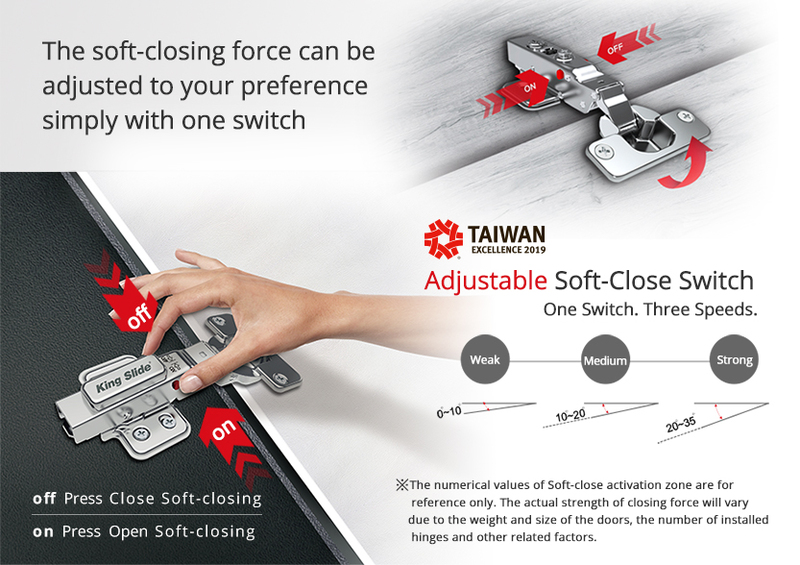 The soft-close function that allows the door to move slowly to a fully closed position can prevent not only the pinch by the door but the wear and tear of cabinets. The more hinges are installed, the stronger the soft-close force is. The new 9252 hinges can be adjusted to the most desired soft-close motion in accordance with the size of the door and the number of hinges.